Industrial Training Institute (ITI) Certificate in Diesel Mechanic Trade or Motor Mechanic Trade or Tractor Mechanic Trade with Three years experience in any of the trades mentioned above and proficiency in Driving and maintenance of vehicles, tractors and should possess a valid Driving License for Light and Heavy Duty Vehicles and Tractors. Industrial Training Institute (ITI) Certificate in Electrical OR Electronic or Instrument Mechanic with three years experience in auto electrical or instruments or electronics maintenance. 1. The post is temporary but likely to be continued indefinitely. The post is covered under “Defined Contribution Pension Scheme”. 2. 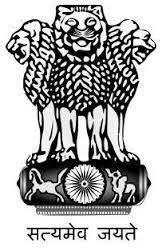 Interested persons working in Central Govt. /State Govt./PSU/Autonomous Body should apply through proper channel along with Certificate from their employer that neither any disciplinary case is pending nor contemplated against him. Otherwise application will not be considered. 3. No correspondence/enquiries will be entertained and canvassing in any form will be a disqualification. 4. Last date of submission of Application: The applications should reach to the destination on or before stipulated time. Incomplete Application(s) or Application(s) received after the due date and Application received through E-mail, Fax or similar means will not be considered. 5. Other terms &amp; Condition will be covered under Central Civil Service Rules issued by Govt. of India from time to time. 6. The interested and eligible candidates may apply on plain paper with self attested copies of testimonials of age, educational qualification, experience, caste etc. issued by respective competent authority along with full Bio-data, containing Name in full (Block letters), Father’s Name, Date of Birth (As per Christian era), Nationality, Religion, Caste with supporting document, Home address &amp; address for communication along with PIN code &amp; Telephone/Mobile Number, Educational Qualification, detail of Experience etc. so as to reach to the Director, North Eastern Region Farm Machinery Training and Testing Institute, Biswanath Chariali, Dist. Biswanath (Assam) within 45 days from the date of issue of this advertisement in the Employment News. The cover containing the application should be super scribed as “Application for the post of “Technician”. North Eastern Region Farm Machinery Training & Testing Institute recruits Technician Posts. Candidates with Diploma can apply. The Regional North Eastern Farm machinery Testing and Training Institute or (NER-FMTTI) is situated in Biswanath Chariali of Sonitpur District, Assam, India. and, surrounded by lush tea gardens, its green envirenment has turned out to be suitable for training and testing of farm equipments. The Institute which was established some twenty years back with the noble cause that, the North Eastern States having the high potentiality to become self-sufficient in agricultural production, started in the difficult situation, have now grown up to its adolescent age and spreading appropriate mechanization and technology to almost all type of beneficiaries. In these past twenty years, we have equipped with all sorts of modern equipment needed for effective training methodology and conducting testing as per BIS norms. The Institute have achieved significant target in training, testing and mechanised farming.